Another year, another slew of comic book films to anticipate. Few films are as anticipated than DC Films' 'Wonder Woman' starring Gal Gadot, Chris Pine and directed by Patty Jenkins. The iconic comic book and feminist super hero finally gets a big screen adaptation all her own and this international trailer shows just how badass and thrilling her solo film debut will be. Sure, the trailer is dubbed in Russian but it's still exciting to relive the scenes we've seen already. 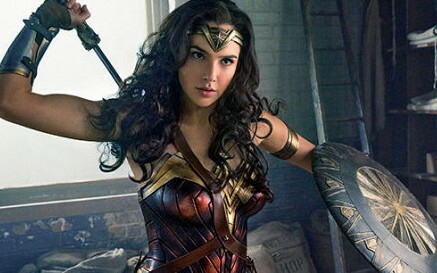 Set during World War I, 'Wonder Woman' establishes Diana's homeland of Themyscira, her chance meeting with Steve Trevor (Pine), her first venture into "man's world," and joins the fight against the Germans. Longtime fans of the Amazon princess will be happy to see the character in her own long overdue feature film, a hero who's been around for over 75 years. Critics will be looking to be appeased after savaging other DC Films like 'Batman V Superman: Dawn of Justice' and 'Suicide Squad.' Despite the poor reviews, Warner Bros' commitment to comic book movie has gotten the support of moviegoers around the world. Having the first major female-led superhero movie comes with a lot of expectations and if the trailers prove anything the film should be action-packed. The beloved character deserves an epic film and we're hoping this is the one. Wonder Woman hits theaters June 2, 2017. How excited are you to see it?